Lauren Oliver captivated readers with Delirium, the first book in a thrilling dystopian trilogy in which Lena Haloway dared to fall in love with Alex and escape the cure, the government-mandated procedure that renders a person immune to the disease of love. I am not someone who likes to re-read books. I just have so many other books on my TBR pile that I don't have the time or inclination to re-read anything. But I read Delirium AND I listened to the audiobook a few months later. This is huge for me. So to say that I'm looking forward to Pandemonium is an understatement. 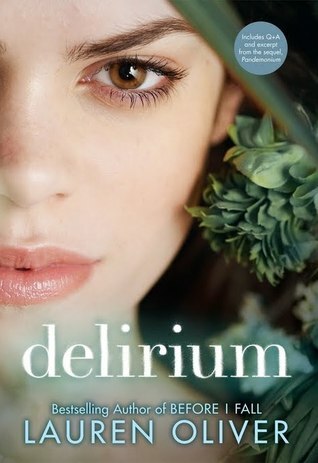 Recently Lauren Oliver revealed the paperback edition of Delirium on her blog and I'm happy to see that the same model is on the Pandemonium cover as well. I think this model is a much better representation of what Lena looks like than the hardcover model, in my mind anyway. What title are you anxiously awaiting on this week? 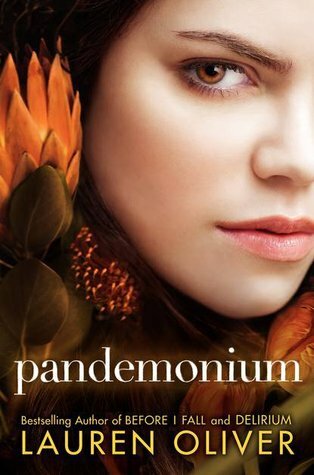 I can't wait for Pandemonium but I have to say I love the original cover so much more. I've been curious about these two...and what lovely covers! I'm listening to Delirium right now. It's excellent writing and story make me impatient for the next installment (even though I've just begun).